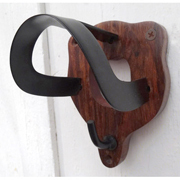 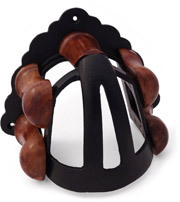 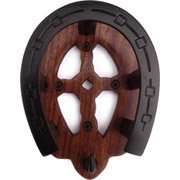 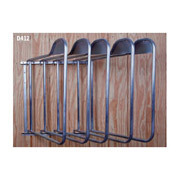 Store your tack properly and in style on this arched horseshoe shaped bridle rack. 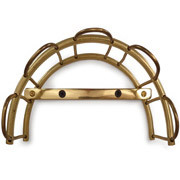 The arched design supports leather and prevents marks and creases at the crown. 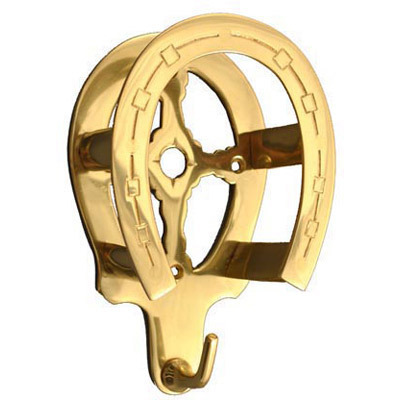 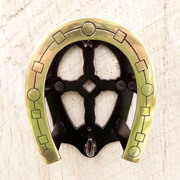 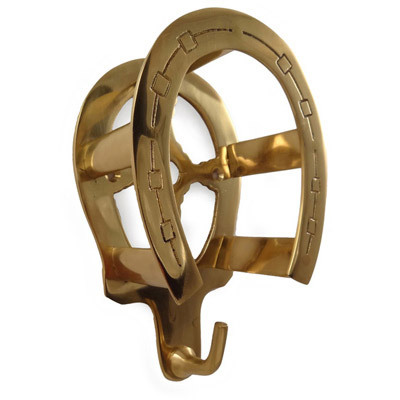 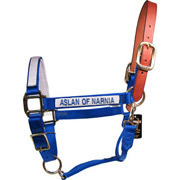 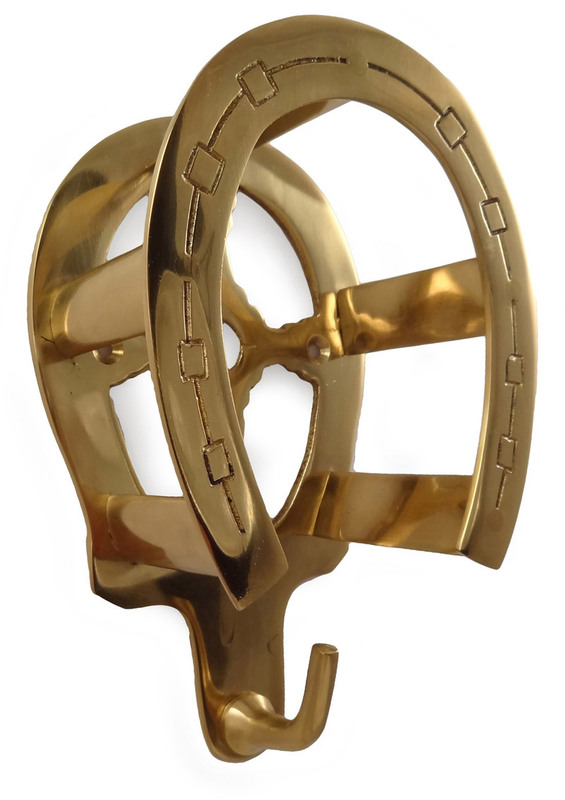 This XL rack includes a plain hook dropped down 1" more than on the standard horse shoe bridle/halter hook to allow the piece to do double duty storing reins, halters, martingales, etc with your bridle. 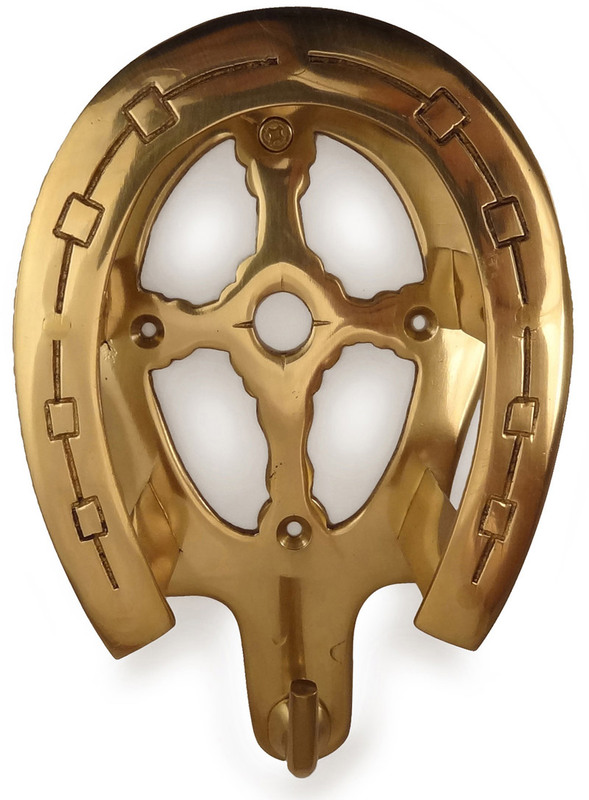 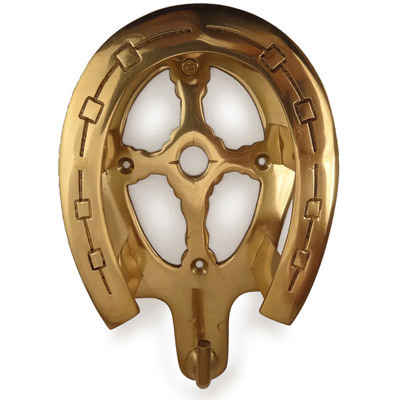 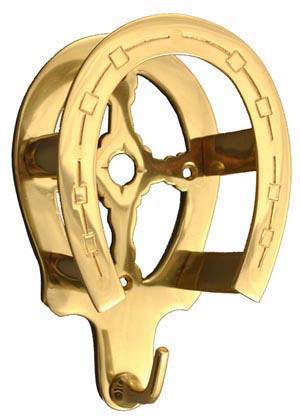 Finish: High Shine Brass- treated to prevent tarnishing.